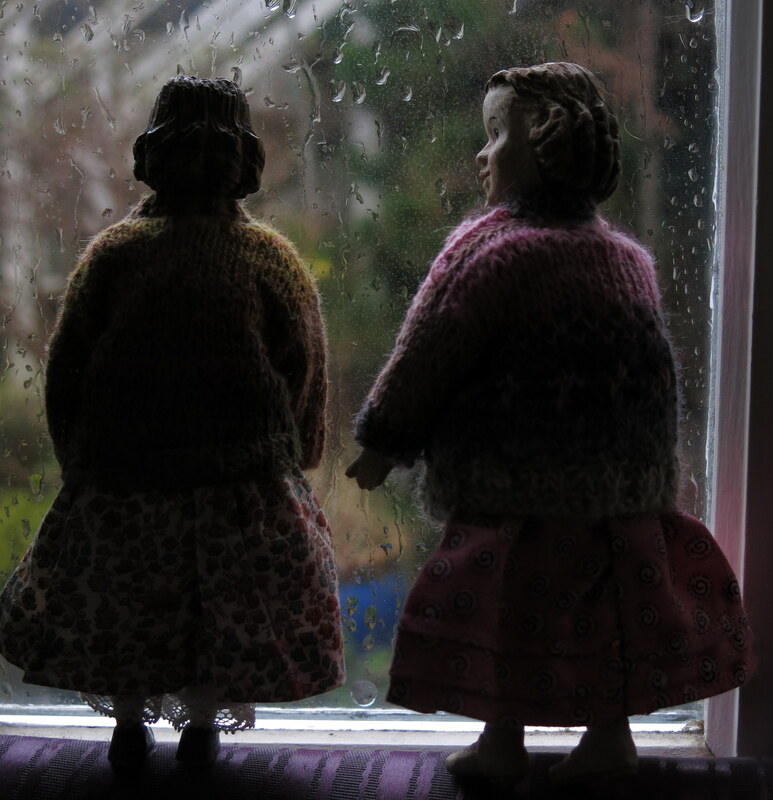 Two little girls were planning to go out this morning…but there was a special weather alert forcasting high winds and lots of rain. 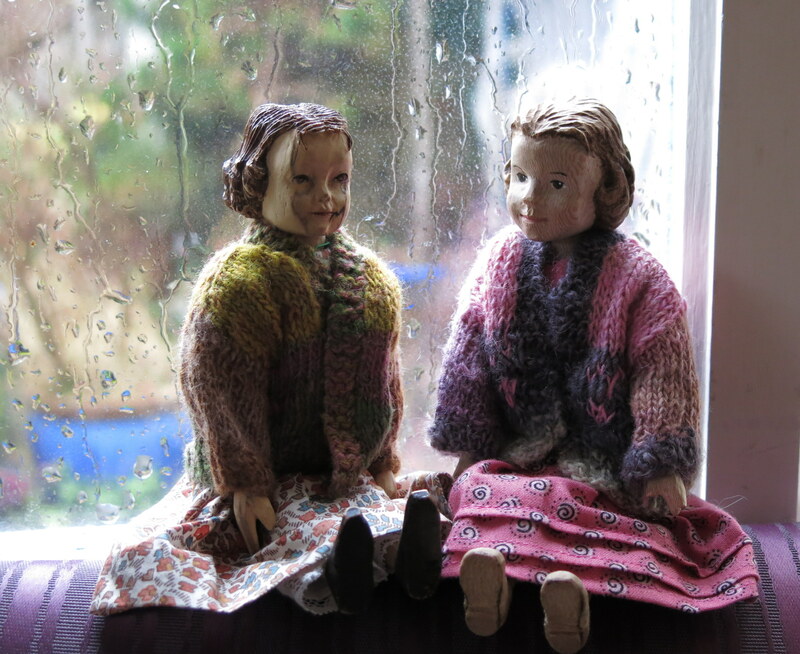 The rain wasn’t so bad, but they didn’t want to be blown off their feet! 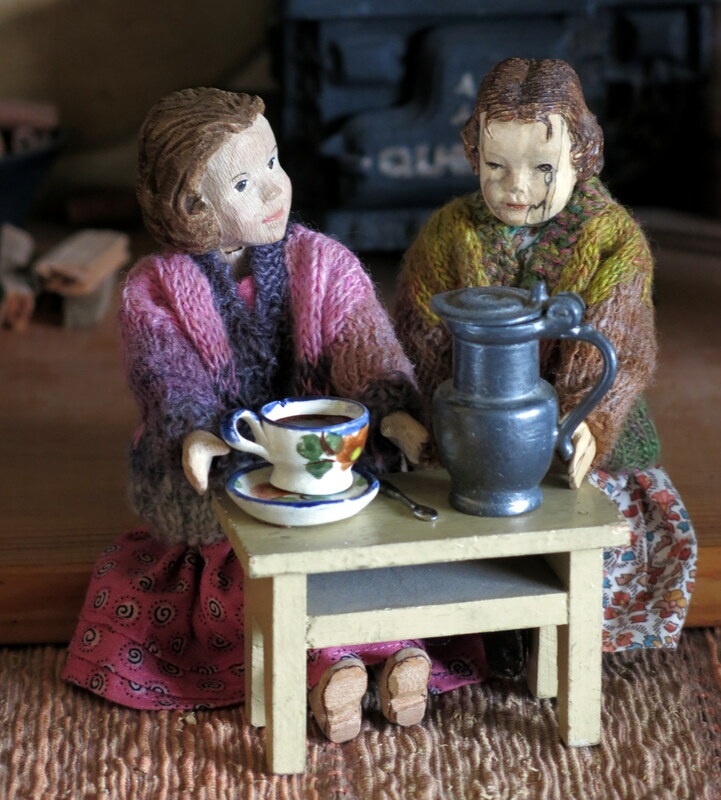 …and the girls cheered up over a shared cup of hot chocolate. I don’t know why, but it really is an encouraging thing to drink on a cold miserable day! Sounds so good and looks so homey and cozy. Bless you, Jane, for your kindness. 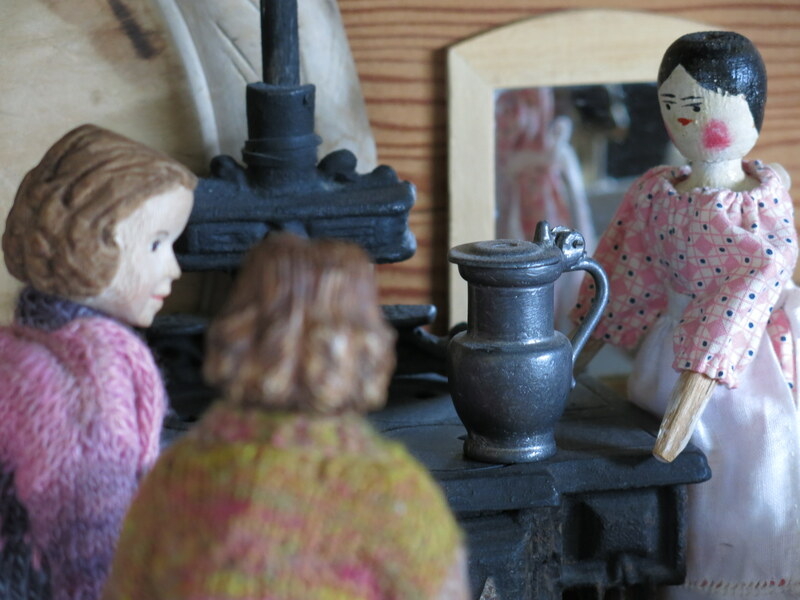 Jane is a prop and support to the denizens of the Quimper Hitty cupboard. She keeps them fed and cheered up…it seems to be in her nature, and the Hittys appreciate her very much. ahhh a cup of hot chocolate and a good friend….sounds like a great day to me! It was a great day – hooray for the warm deliciousness of hot chocolate and friendship!